2017 Tipton County Pork Festival Queen, Makenzie Gillam, ran a food drive at Tipton Elementary School last week. The elementary students worked hard to collect over 450 food items in total to give to local food pantries. Emmanuel Lutheran Church as well as Rock Prairie Church are able to use the food items to give to those in need in our community. 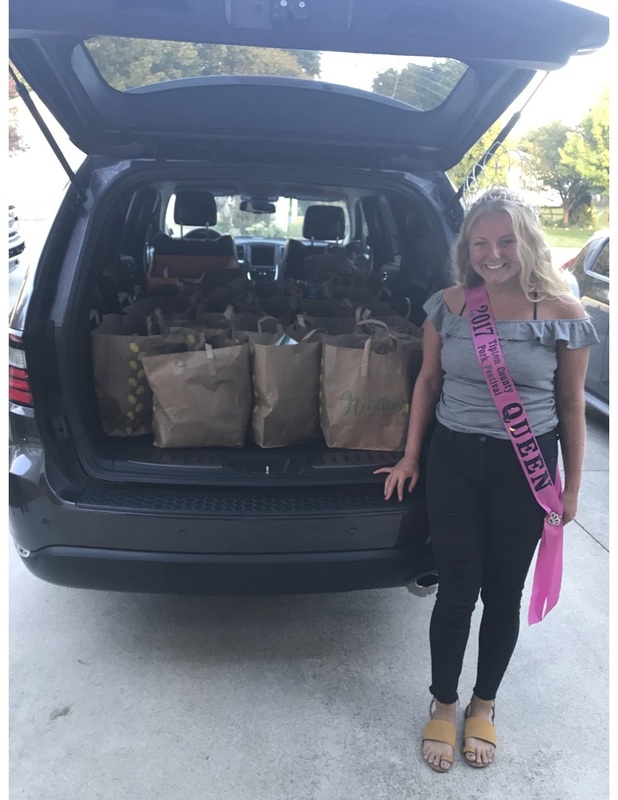 A special thank you to Makenzie for all her efforts in making this food drive possible.